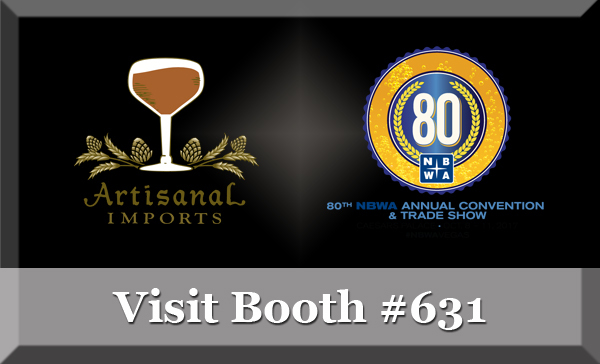 Austin, TX (October 6, 2017) –Artisanal Imports, a leading marketer and seller of international and domestic craft breweries will attend the National Beer Wholesalers Association’s 80th Annual Convention and Trade Show, held in Las Vegas from October 8-11. Key personnel including Artisanal founder Bob Leggett, President Sean Knoll, and Senior Vice President Lanny Hoff will be on hand to showcase and pour beers from the company’s extensive portfolio, including offerings from Whiner Beer Co. and Fulton Beer. The NBWA Convention and Trade Show is the largest of its kind, and its 80th year will feature a range of notable speakers, thousands of beer industry decision-makers and 22 educational seminars. The event has run annually since the NBWA’s inception in 1938. Interested in selling Artisanal Imports portfolio of breweries and cideries at your restaurant, bar or retail store? Interested in becoming a distribution partner for Artisanal Imports? Please contact Lanny Hoff with interest. For more information about Artisanal Imports and its renowned lineup of producers and products, please contact Lanny Hoff at +1 (612) 245-5433 or by email at lanny.hoff@artisanalimports.com.